This is the press you have been waiting for. Based on the proven design of the Classic Cast, the Breech Lock series adds the quick-change die bushing. Rigid cast iron construction with all steel linkage. Durable powder coated finish with largest opening and the longest stroke in the industry. Adjustable handle is movable from right to left and length plus swing position is fully adjustable with a 48-tooth ratchet type handle clamp. The industry's largest 1 1/8" diameter hollow ram to catch every primer with hose fitting to allow primer disposal directly to a trash can. Supported by over 12 square inches of ram bearing surface. 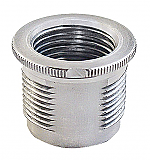 Threaded die adapter accepts standard 7/8-14 dies. Lee Lever Prime System features bottom of stroke priming for unmatched sensitivity. Includes both large and small priming arms. There's no need to fumble with tiny guides and springs when changing primer size. 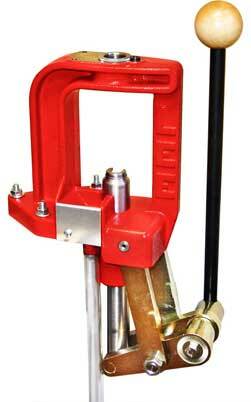 Frame machined to accept Lee quick-change Breech Lock Bushings. Change dies in an instant with a quick 1/6 turn. One Breech Lock Quick Change Bushing included.